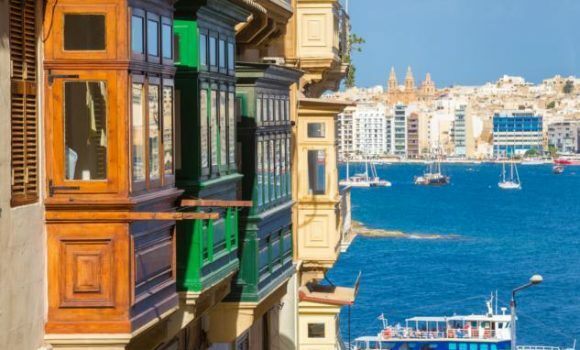 Malta destined to be leading Crypto-exchange island. Recent­ly, Mal­ta was once again in the news as Binance, the largest cryp­tocur­ren­cy trad­ing plat­form in the world announced that it was relo­cat­ing to sun­ny ‘Blockchain Island’. Fol­low­ing a Chi­nese ICO ban, the Hong Kong-based exchange plat­form, was com­pelled to look else­where in Asia for a hub and sought the Japan­ese juris­dic­tion as a poten­tial base for its oper­a­tions. How­ev­er, after some reg­u­la­to­ry prob­lems cropped up [forc­ing Binance to recall its staff from its Japan­ese offices], the Com­pa­ny even­tu­al­ly decid­ed to relo­cate to Mal­ta. In his Twit­ter post, an elat­ed Prime Min­is­ter Joseph Mus­cat stat­ed: ‘Wel­come to Mal­ta Binance! We aim to be the glob­al trail­blaz­ers in the reg­u­la­tion of blockchain-based busi­ness­es and the juris­dic­tion of qual­i­ty and choice for world class fin­tech com­pa­nies!’ Great news indeed for all Cryp­to-enthu­si­asts! 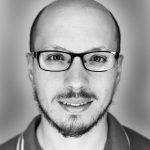 Malta as THE Blockchain Island. In some ways, it was not a huge sur­prise that Binance even­tu­al­ly relo­cat­ed to Mal­ta since the Gov­ern­ment was heav­i­ly involved in mar­ket­ing the coun­try as the ‘Blockchain Island’ and place to be. More­over, work was done to pro­mote Mal­ta as a ‘hub’ which would also reg­u­late Blockchain tech­nol­o­gy. This inces­sant and clever pro­mo­tion even­tu­al­ly led to oth­er Exchanges also gaz­ing with watch­ful and hope­ful eyes. Binance’s move will hope­ful­ly lead to the employ of over 200 peo­ple ensur­ing that there is a huge con­tri­bu­tion to the local econ­o­my. (As stat­ed in pre­vi­ous arti­cles, one of the three pro­posed bills being tabled is that of the: Vir­tu­al Cur­ren­cy Bill. This Bill will cater for a legal frame­work for ini­tial coin offer­ings and reg­u­late cryp­to-wal­let providers, cryp­to-cur­ren­cy exchanges and autho­rised asset man­agers). OKEx also makes a move! Recent­ly, OKEX Tech­nol­o­gy Co, anoth­er cryp­to-based com­pa­ny in Japan, also decid­ed to use Mal­ta as a hub for its activ­i­ties cit­ing that it had ‘decid­ed to make Mal­ta a Foun­da­tion’ for its future growth in this VC sec­tor. In fact, Par­lia­men­tary Sec­re­tary for Finan­cial Ser­vices, Dig­i­tal Econ­o­my and Inno­va­tion Dr. Sil­vio Schem­bri also voiced his delight stat­ing that: “The fact that Mal­ta is at the fore­front in launch­ing a reg­u­la­to­ry frame­work that reg­u­lates this sec­tor by means of set­ting up an author­i­ty, in itself has attract­ed the inter­est of glob­al com­pa­nies such as Binance and OKEx”. OKEx’s dec­la­ra­tion was fol­lowed by sim­i­lar announce­ments that the Berlin Blockchain based enter­prise: ‘Neu­fund’ and ‘The Abyss’ were also set­ting up shop in Mal­ta. Justin Sun, the founder of giant US Blockchain Com­pa­ny: Tron also stat­ed that his com­pa­ny was indeed ‘seri­ous­ly con­sid­er­ing’ invest­ing and oper­at­ing in Mal­ta. DQR Group also decide to relocate. Recent­ly, DQR Group also announced that it was seek­ing to estab­lish a head­quar­ters here in Mal­ta. The Chief Exec­u­tive Offi­cer of DQR Group: Dr Kris­t­ian Haehn­dal opined that Mal­ta will cer­tain­ly become the world­wide Blockchain hub stat­ing that such a high-pro­file move was cer­tain­ly down to the country’s Blockchain-friend­ly envi­ron­ment. To note that: DQR Group is a group made up of DQR, DQR-X, DQR-GIVE, and DQR-Ser­vices, with Gen­e­sis Min­ing, Blockchain Con­sult­ing, Logos Fund, and Dra­glet as notable work­ing part­ners. The above-men­tioned major moves will cer­tain­ly pave the way for more like-mind­ed com­pa­nies to relo­cate to Mal­ta. 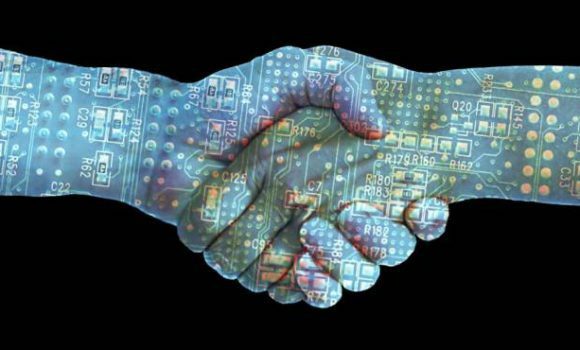 The whole spec­trum will sure­ly not be sole­ly lim­it­ed to Cryp­to-exchanges but firms engag­ing in Blockchain tech­nol­o­gy will also be look­ing to pro­vide their ser­vices on the island. Here at Dr. Wern­er & Part­ner, our team will be more than wel­come to assist you with any queries you might have relat­ed to Vir­tu­al Cur­ren­cies, Blockchain Tech­nol­o­gy and Cryp­to-exchange plat­forms. We look for­ward to meet­ing with you and dis­cussing a prospec­tive move to the island! Dr. Michael Calle­ja, born on the 07.01.1988, stud­ied law at the Uni­ver­si­ty of Mal­ta from 2006 till 2012. He grad­u­at­ed Bach­e­lor of Laws & Euro­pean Stud­ies in 2009 with a Sec­ond Class Upper Degree and grad­u­at­ed Notary Pub­lic in 2010. He suc­cess­ful­ly defend­ed his the­sis enti­tled: ‘Beyond the Bosman Rul­ing: Con­trac­tu­al Dis­putes in Foot­ball and the Spe­cif­ic Nature of Sport in the Euro­pean Union’ in 2012 and obtained his Doc­tor of Laws (LL.D) accord­ing­ly. 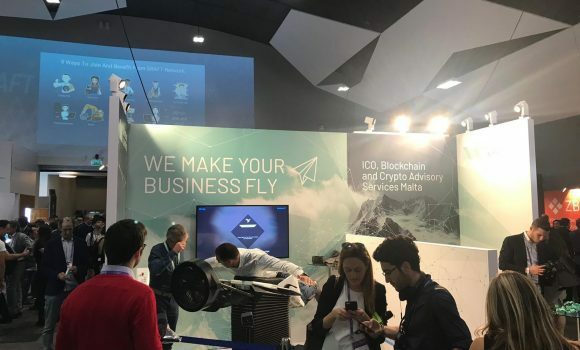 Malta Blockchain Summit proves to be a major success!